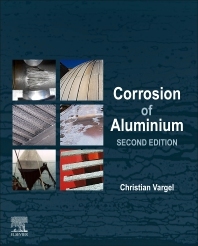 Corrosion of Aluminium, Second Edition, highlights the practical and general aspects of the corrosion of aluminium alloys. Chapters help readers new to the topic understand the metallurgical, chemical and physical features of aluminium alloys. Author Christian Vargel adopts a practitioner styled approach that is based on the expertise he has gained during a 40-year career in aluminium corrosion. The book assesses the corrosion resistance of aluminium, a key metric recognized as one of the main conditions for the development of many uses of aluminium in transport, construction, power transmission, and more. Professor Christian Vargel is a consultant for the use of aluminium in corrosion critical applications, Arvillard, France.He has over fifty years experience in corrosion of aluminium and metallurgy of aluminium. He was chief engineer at the Pechiney Group -- the European leader of production of aluminium -- where he primarily focused on corrosion of aluminium alloys, from a practical perspective. He surveyed and appraised numerous cases of in-service aluminium corrosion: building, transport, territory equipment, electrical and applications, and renewable energies, such as solar, OTEC, etc.